One week after the Singapore 7s, fans are still talking about it and who could blame them. We have won so many tournaments in the past since the World Sevens Series started in 1999 but the Singapore 7s will stand out as among the memorable ones. It was how they won, the never-say-die attitude when imminent defeat was staring at them in the face. From the brink of defeat, they pulled one of the greatest comeback wins, not once but three times. To be able to do it in one tournament is magical. That’s what continues to excite and captivate Fijian fans here and abroad. From the clubrooms, to homes, workplaces, schools and even the hospitals they are still talking about the Singapore 7s victory. The way our sevens heroes did it is a sign of a good team maturing. After almost 18 months on the job, Fiji Airways Fijian 7s coach Gareth Baber’s patience, assuidity and perseverance are slowly reaping dividends. The reps have repaid Baber’s faith in them. When they were losing tournaments earlier in the series, people were calling for heads to roll. Both Baber and the players were in the line of fire. But they stuck to their plan and we began to see change happening. The players began to respond to instructions as we saw in Singapore after the pep talk at halftime. We can proudly boast that we have a great team in the making. We have strength and depth. More importantly we have composure in the squad. That means mental toughness. It showed when we came from behind to win on three separate occasions. The teamwork means we are no longer relying on one or two x-factor players. Everyone is now an x-factor player. It was not easy beating New Zealand, South Africa and Australia on the trot in the Cup quarters, semi and final. But we did, coming from behind to win in the end. Sevens legend Waisale Serevi single-handedly demolished the Aussies in the 2000 Brisbane Sevens final scoring in the dying seconds in the 24-21 win at Suncorp Stadium. And 18 years later in an almost similar circumstance in Singapore, Alasio Naduva scored from a team effort when the hooter had already sounded. 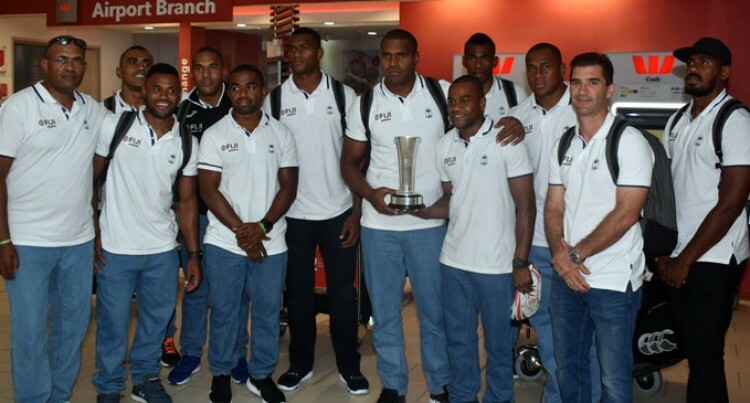 What makes it even more interesting is that Fiji won its fourth tournament, three back-to-back, Vancouver, Hong Kong and Singapore and the very first, Hamilton Sevens which set in motion the willingness to take their A- plus game to the next level. No one wants to lose. To recover from a losing streak can be mentally draining. Only Baber and those around him know what it took to achieve the quadruple title haul. Baber’s formula of putting together a winning combination is coming to the fore as he rebuilds, and juggles positions. It is this formula that helped Fiji leapfrog past nemesis South Africa to sit at the top of the World Sevens Series table. With the London and Paris sevens up next month, the team is only two legs away from winning the 2017-2018 World Sevens Series. Winning the title would be a perfect buildup as we attempt to win the Melrose Cup at the Rugby Sevens World Cup in San Francisco in July. We may have come second best at the Commonwealth Games. But don’t forget we have the Olympic gold and we have a realistic chance of winning both the World Sevens Series and the World Cup Sevens. So let’s keep the hype up and back our heroes all the way to San Francisco for the World Cup Sevens.